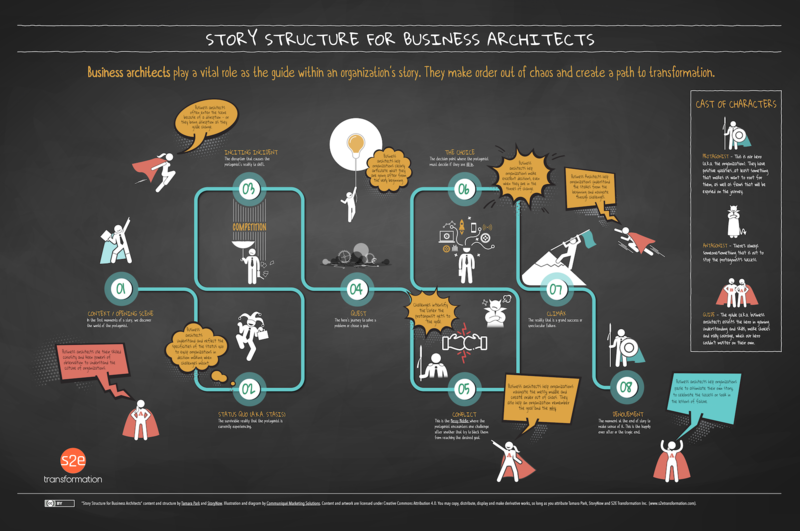 Inspired by master storyteller, Tamara Park, this illustration depicts how business architects play a vital role as they guide an organization’s story. Architects make order out of chaos and create a path to transformation. Created by the esteemed graphic recorder, Sarah Greer, her handy illustration describes how business architecture enables strategy execution at the same time. Download the digitized vector art conversion of Sarah’s original hand-drawn illustration. 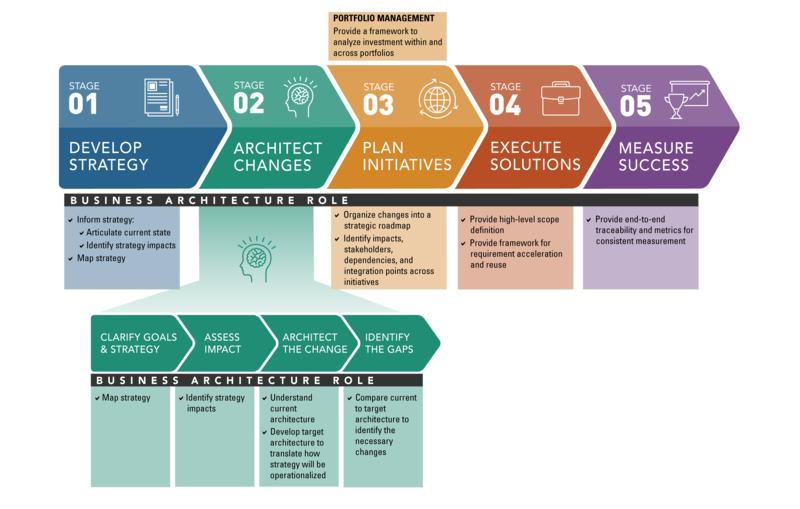 This conceptual illustration parallels the Business Architecture Maturity Model™ (BAMM™). 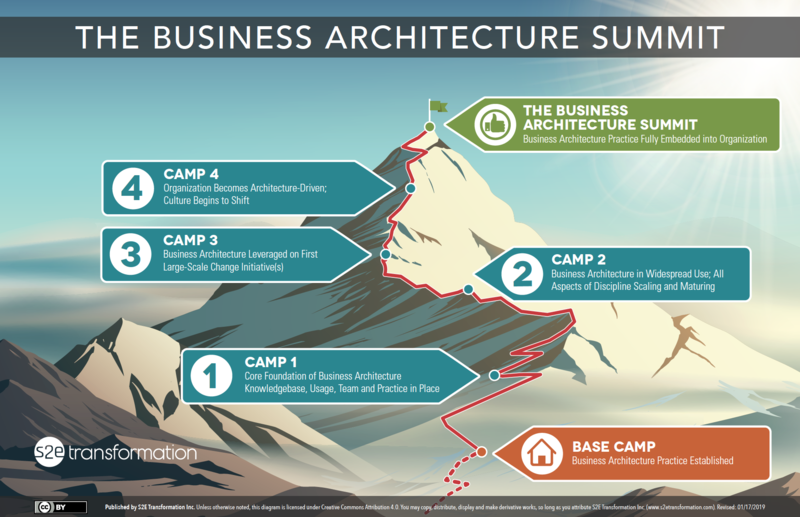 When you conquer the business architecture “summit” and are standing at the top, which means business architecture is fully embedded into your organization. Organizations may take different routes to the summit, but they generally go through a common set of milestones described within this illustration (Revised: 17 January 2019). Download Resource (PDF 3.5MB). There are three focus areas (tracks) for business architects. An individual may focus on one, two or all three, depending on how the role is defined within their organization. This diagram illustrates the applicable content for each stage of the journey. Business architects that are responsible for more than one focus area should combine the guidance across tracks. Download Resource (Revised: 23 January 2019). 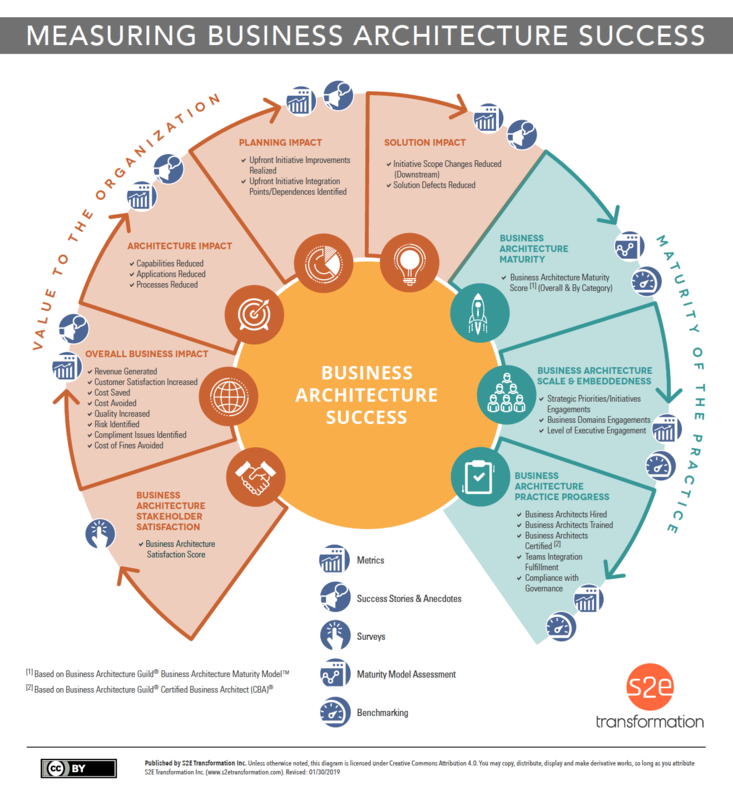 This handy diagram provides a clear explanation to help business architecture practitioners make sense of meaningful categories of measurement (with a few sample metric ideas) and the methods used to evaluate and capture each category. Download Resource (Revised: 30 January 2019). 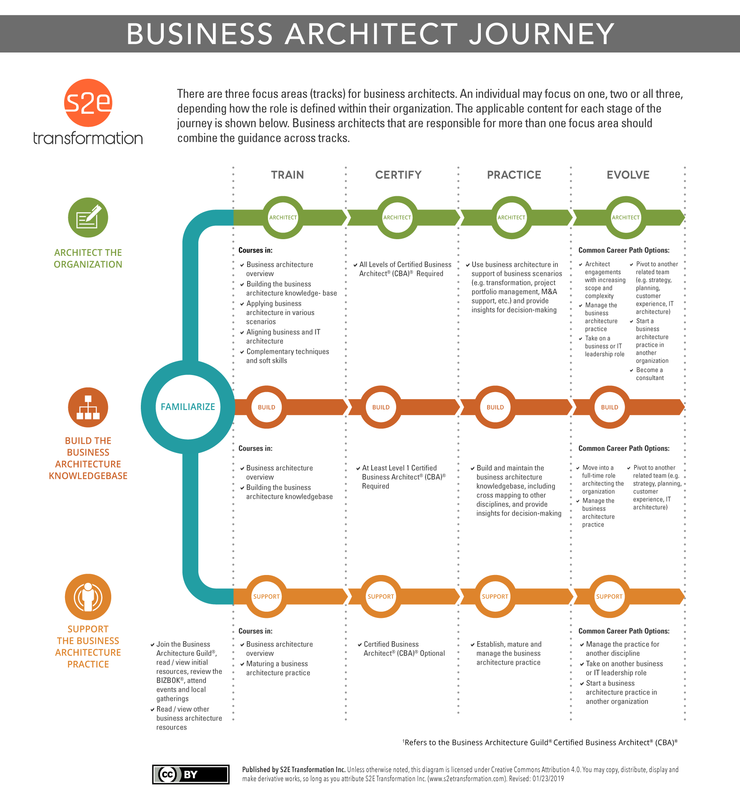 What does the future hold for business architecture? Here is a summary of predictions and trends for the practice. Download Resource. 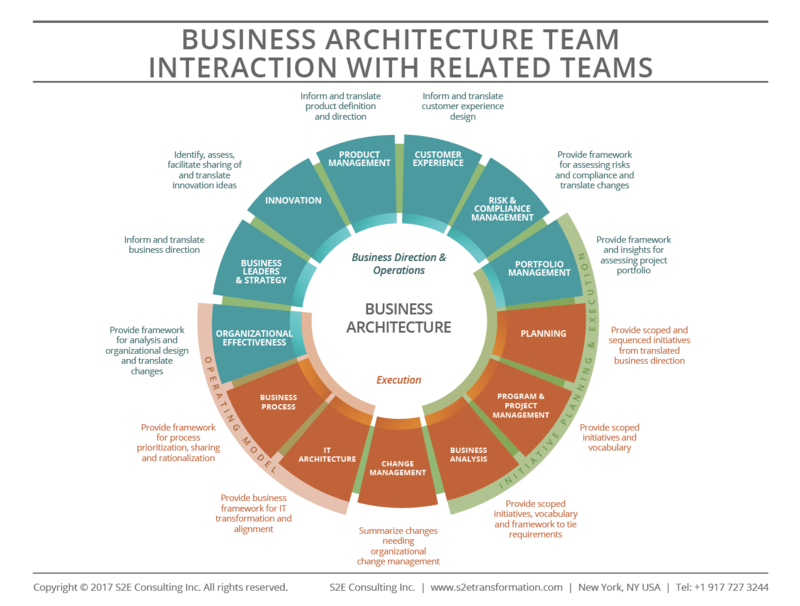 This relational diagram provides a high-level summary of how business architecture interacts with organizational teams. Download Resource. 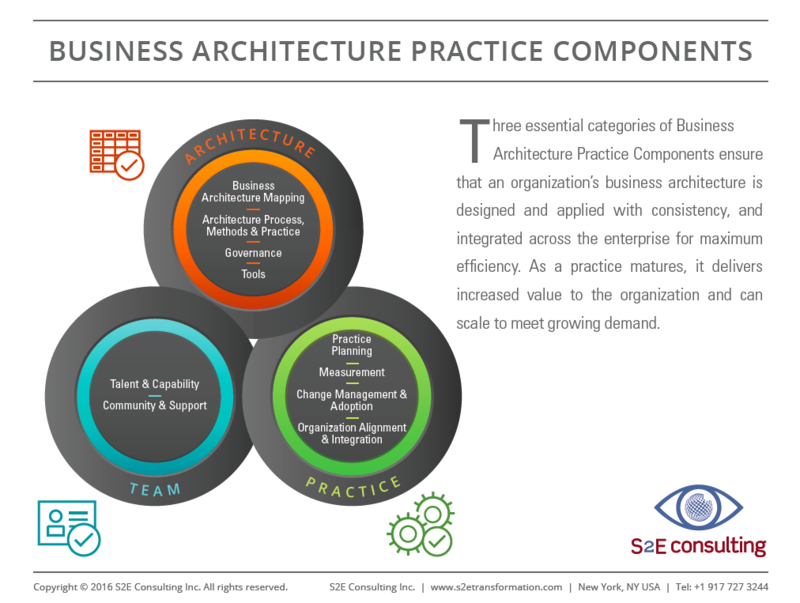 This diagram features three essential categories of the Business Architecture Practice Components ensure an organization’s business architecture is designed and applied with consistency. Download Premium Resource. 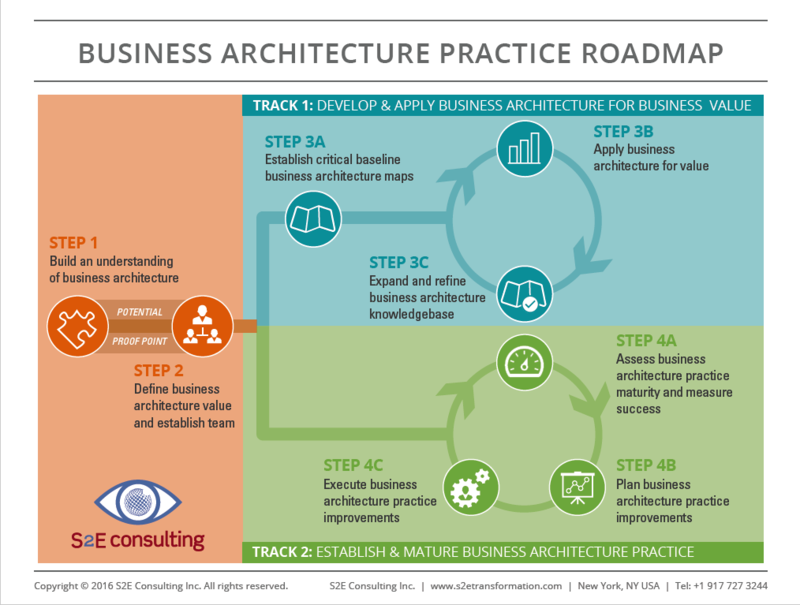 This valuable roadmap provides a practical, proven approach to establish and mature a business architecture practice. Download Premium Resource. 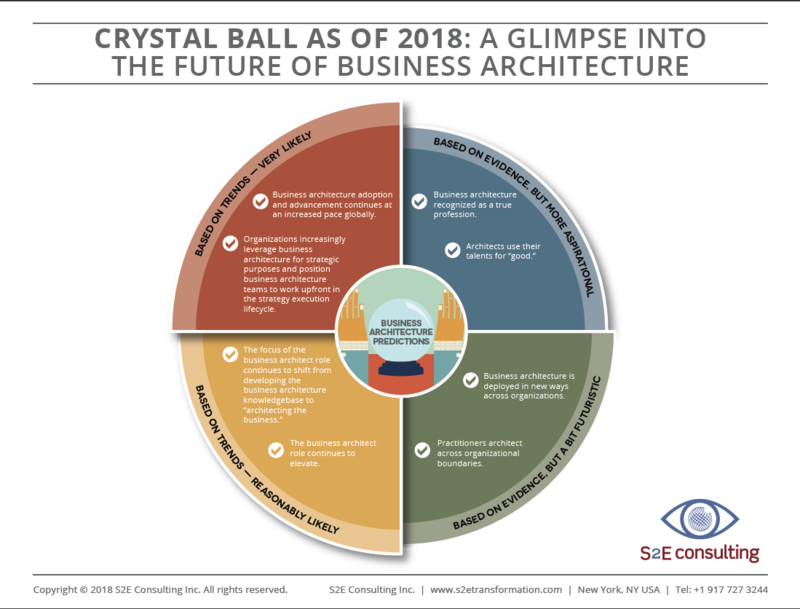 This diagram succinctly describes the role of business architecture from an enterprise strategy-through-execution perspective (Revised 14 January 2019). Download Resource (<1 MB).